From a mechanic to an garment exporter to the King of openings: Thala in Kollywood. The story of Ajith Kumar is as filmy as his movies. Born on first of May to a Sindhi Mother and Kerala Father, Thala was always ambitious personality right from his childhood. He always wanted to be different and for that he was always ready to take risks in his life and do hard work. It was in 1993, May 24th Thala entered Kollywood with Amaravathi and no one could ever imagine back then that this 21 year old will reign as one of the biggest Superstars of South Indian Cinema and not just Kollywood. It was in 1995 Ajith the star emerged with his first break Aasai directe by Vasanth and Produced by Mani Ratnam. It was followed by superhits Kadhal Kottai and Amitabh Bachachans Tamil production Ullasam where he was reportedly paid 2M Rupees. By playing a deaf and dumb twin role in Vaali Ajith conquered the hearts of Tamil Audiences with Vaali and also winning his first ever Best Actor FilmFare Award. This period between 1995-1999 was also his career turning periods. In 2000, he got married to his long time girlfrien Shalini, every malayalis favourite. The couple got married as per both Hindu and Christian customs ( as Shalini was a Christian), Thus Thala stood as the symbol of secularism. Between 2000 and 2001 , Ajith became more experimental and did Kandukondein Kandukondein as a second Lead to Malayalam Megastar Mammootty in the musical romantic Hit movie directed by Rajeev Menon. He did mass mega hit movie Dheena also in this period , this time with Malayalam action king Suresh Gopi playing a prominent role in it. Though Asoka (Hindi, 2001) failed at box office Thala made his presence felt among hindi audiences sharing screen space with India’s Global Icon Shah Rukh Khan. He next won film fare award for best actor Tamil through Villain. After this a series of flops happened but then Thala of Kollywood never backed away. He came back strongly with Varalaru , which also won him his thrid best actor awards at the FilmFare South. In 2007, Ajith Kumar reprised the role played by Thalaiva Rajinikanth, Billa. The movie emerged as the biggest openings of all time in Kollywood and ended up as an all time blockbuster putting a signature that he is King of comebacks. In 2011, with the evergreen mass action thriller Mankatha , Ajith Kumar proved that he is still the King of Openings at Kollywood and shattered all records. The movie was a runway Blockbuster at all releasing centers. Between 2012-2015, All of Ajith Movies shattered all openings at kollywood , thus giving strong messages to his fans that “THALA” is forever the King of all time openings. Veeram , Yennai Arindhal and Vedhalam minted crores at Kollywood box office and even conquering the markets of neighboring states Kerala and Andhra and Telangana. 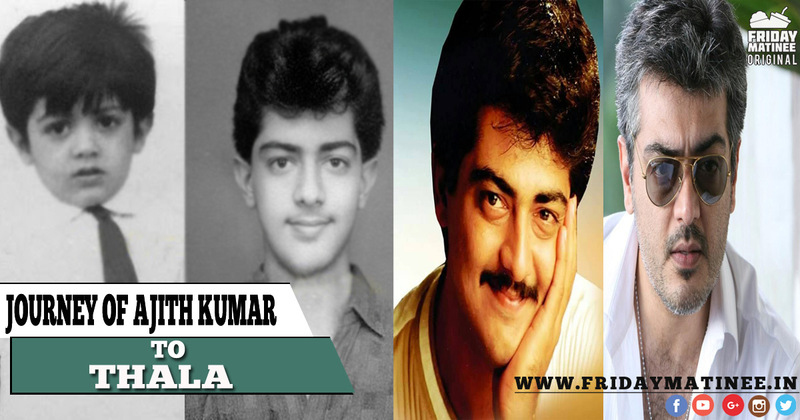 A mass hero, a Formula one Racer, An avid Pilot , a professional photographer and what not – Thala Pola Varuma !! !